Sorry about the delay! I normally update on Thursday, but I just moved, and had limited internet access for a few days. So here's the new episode on Saturday. 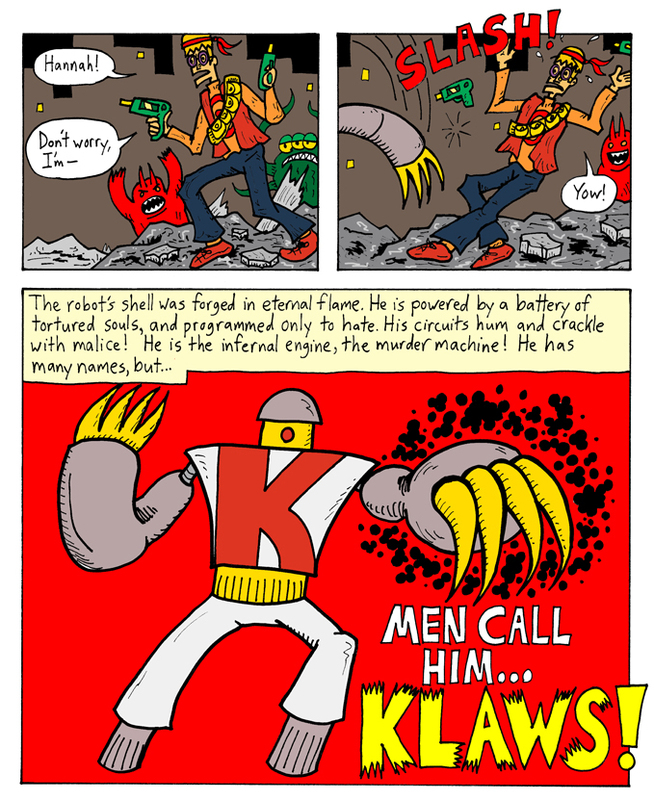 Klaws is a character I made up when I was 8. His first comics appearance was in the Demon Roll Call. He's been in the background so far in this story, but now is his time to shine. Next Week: Klaws vs. Jimmy! Sally Serpentine vs. Hannah! The battle rages on!! !